Wrench sets for different types of work. It is suitable for industrial, home and automotive use. Compact and easy to use. 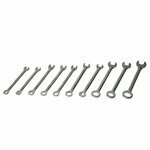 The set of ten combination wrench keys with open and closed ends, suitable for many applications. 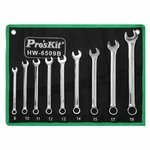 7-piece flex head wrench set, with ratcheting and open ends on each wrench. 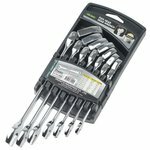 9-piece combination wrench set, with box end and open ends on each wrench. Complete set for automotive, industrial or home use. 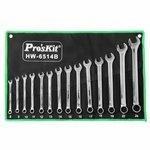 14-piece combination wrench set, with box end and open ends on each wrench. Complete set for automotive, industrial or home use.